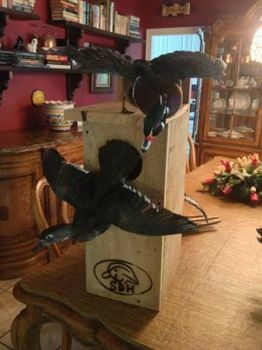 Wood duck boxes are essential in restoring the wood duck population where they are placed. Wood ducks are the only species that will care for another nest of eggs. The boxes are a haven where they can lay their eggs and for the ducklings to grow and climb out of. The migration habits of wood ducks are that they return to the original location annually.